On August 9, 2016 Superintendent Anthony Hamlet presented his 90-Day Transition Plan to the Pittsburgh Public Schools Board of Directors. More than a month into the plan, designed to swiftly and thoroughly inform him of challenges and opportunities within the District, Dr. Hamlet briefed members on progress and outcomes that include a "Look, Listen and Learn" component and the formation of a Transition Team made up of national education subject matter experts in defined areas. From understanding how the District could further support past grants and investments to analyzing academic curriculum and college and career readiness, the plan ensures a smooth transition of leadership and lays the groundwork for development of the District's 5-Year Strategic Plan. 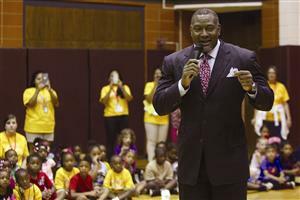 In his remarks, Dr. Hamlet pointed to building upon the successes of recent grants that support the District's plan to develop a "STEAM" K-12 pathway; the Summer Dreamers Academy, recognized with a 2015 New York Life Excellence in Summer Learning Award; The Pittsburgh Promise scholarship program; and efforts to ready students for college or careers. Dr. Hamlet lauded PPS staff and stakeholders for the Whole Child, Whole Community Plan, which will help to inform the creation of the 5-Year Strategic Plan. 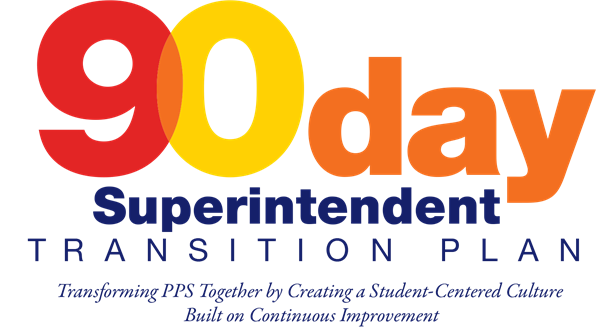 Dr. Hamlet will update the public on the 90-Day Plan at the PPS Board's Education Committee Meeting on November 2, 2016.